Neiman Marcus offers free 5-pc gift with any $100 Estee Lauder Purchase. 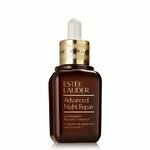 Estee Lauder Advanced Night Repair Eye Concentrate Matrix, 0.5 oz. Estee Lauder Micro Essence Skin Activating Treatment Lotion, 2.5 oz. Estee Lauder Advanced Night Repair Eye Serum Synchronized Complex II, 0.5 oz. Estee Lauder Re-Nutriv Replenishing Comfort Crème, 1.7 oz. Estee Lauder Revitalizing Supreme + Global Anti-Aging Cell Power Crème, 2.5 oz. Estee Lauder Revitalizing Supreme + Global Anti-Aging Cell Power Eye Balm, 0.5 oz. Estee Lauder Advanced Night Micro Cleansing Foam, 3.4 oz.